On-the-go music lovers will be intrigued by the new Bose Frames—at least while the sun’s up. This $200 personal audio device consists of Bluetooth micro speakers integrated into the bulked-up arms of eyeglass frames. 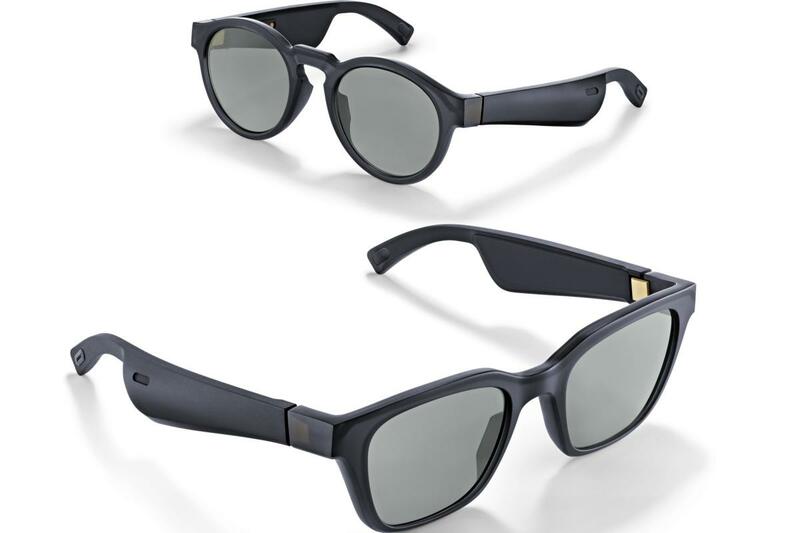 These “sunglasses with a soundtrack,” as Bose calls them, are stylish though not stylistically groundbreaking (the Alto version conjures the look of the classic Ray-Ban Wayfarer), and they deliver surprisingly substantial sound without requiring you to plug anything into your ear canals (the speakers sit just forward of your ears when you put them on). The pitch is similar to the one Bose made for its SoundWear Companion neck-band speaker in late 2017: A personal listening experience that doesn’t cut you off from the world. You’ll still hear the traffic; you won’t miss “Hey buddy, you dropped your wallet” warnings; and you won’t be putting out any antisocial “don’t bother me” vibes. 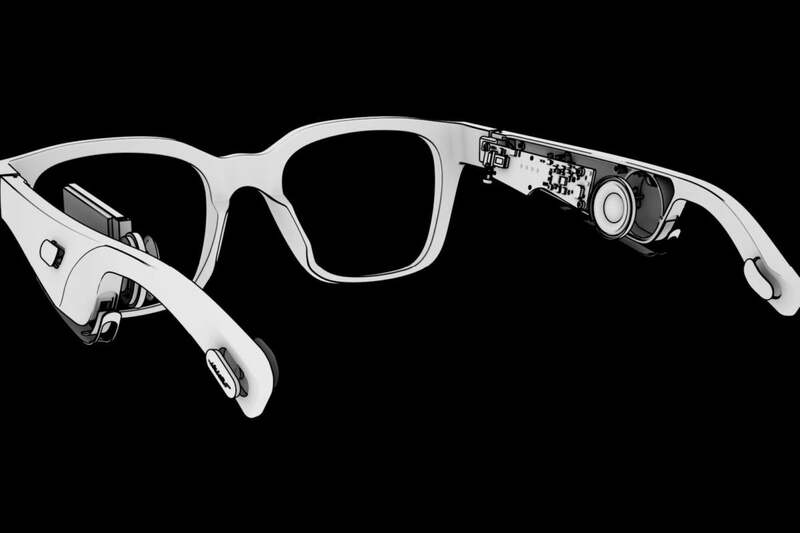 Surely Bose will eventually offer users the opportunity to have prescription lenses mounted inside its Bose Frames. Bone conduction headphones, which send sound to the inner ear through the bones of your skull, are another lightweight, non-invasive means of delivering personal audio. But those can be irritating for some, so the engineers at Bose took a different tack. They start with custom stereo transducers (“our smallest, slimmest speaker,” according to Trivedi) and package them in multi-ported acoustic chambers in the arms of the sunglasses. “Precise geometry directs sound to the listener’s ears at full volume, but suppresses the leakage in other directions to just one percent of that,” Trivedi said. This is something of a twist on the near-field noise-cancelling technology deployed in Bose’s QuietComfort line of headphones. 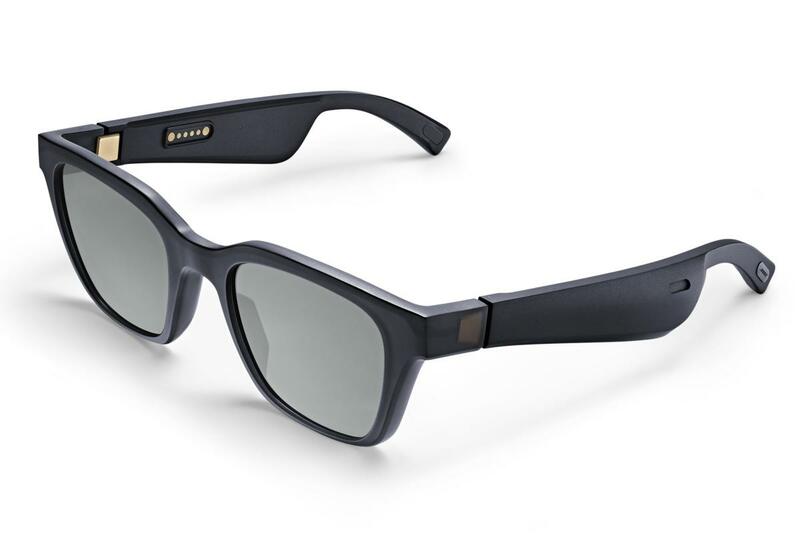 Instead of sampling and phase-cancelling the sounds of the outside world, the “far-field” tech in the Bose Frames uses ports and processing to sample and squash any sound leaking out of the shades in unwanted directions. Passers-by hear nothing. A lot of high-tech innovation is hiding inside the arms of these seemingly mild-mannered sunglasses. It worked quite well in my testing. Keep the Frames’ volume at a comfortable 50 percent or lower, and someone standing three feet away will hear barely a peep, even in a dead quiet room. Stroll down the street or ride a bus, awash in ambient noise, and you can crank the Frames to their moderately loud, wind-in-your ears max without disturbing your fellow travelers. The Frames keep the design simple and as light (1.6 ounces) as some conventional sunglasses by having just one button on the right arm that’s single-, double-, or triple-tapped to turn on power, open the microphone for commands, play/pause music, and skip forward or back on a playlist. You can also initiate, answer, and juggle phone calls with that self-same button, so long as you keep your taps straight. Volume can be raised or lowered—tediously—by voice command. Honestly, it’s quicker to just grab your phone and work the levels there. The Bose Frames produce a satisfying, brightly articulated, 3D-ish sound field, an airy presentation that I found worked well with the light and medium density pop, jazz, and classical music I’ve been tapping into on my iPhone X. The chunky arms on the Bose Frames are the only giveaway that these aren’t ordinary sunglasses. Newbies like strummy folk guitar super-duo Better Oblivion Community Center, Guster’s rockin’ Look Alive, and Michael Franti & Spearhead’s upbeat reggae/soul/hip hop hybrid Stay Human Vol II really got me high-stepping across town. Wearing these too-cool-for-school shades while listening to the sassy, horn-bedecked Sinatra’s Swingin’ Session felt so right. But so did the arty 100th anniversary retrospective Leonard Bernstein plays/conducts Bernstein, which connects the dots between the maestro’s symphonic work and his show tunes. What you won’t get from the Bose Frames is deep bass—under any circumstance. But what bass you do get is just as well defined and whistle clean as the rest of the sonic portrait they present. Fans of densely produced rap and sludgy rock, on the other hand, will doubtless feel shortchanged, moaning that these miniature drivers can’t keep up with the action. Regrettably, the Siri voice activation service on iPhone-connected Frames responds only to Apple-sourced musical requests for the time being. That’s fine if you’re an Apple Music subscriber or keep an onboard inventory in iTunes, but I found that Siri mishears a lot. I took to using the individual apps on my iPhone X to Bluetooth-beam music to the Bose sound shades. 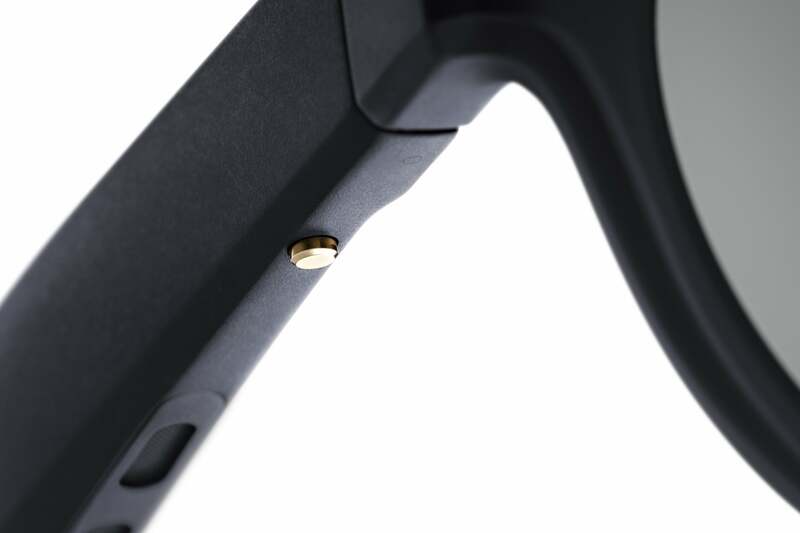 Bose Frames are charged using a special, magnetically connected cable that clings to a contact on the temple. Connecting the Frames to a Samsung Galaxy Note 8 Android phone proved more satisfying for hands-free applications. My voice commands to Google Assistant were clearly understood and fetched music from a variety of sources, plus radio channels and podcasts from TuneIn (which is supposed to be actively available on iPhones, too.) The smarter assistant even proffered enhanced info I hadn’t requested. When asking for a Dawes playlist, for example, I learned that the band was coming to town in two days. When speaker-phoning with Frames, the microphone clarity was judged mildly muffled by listeners at the other end of the call, but (on the favorable side) low in ambient noise pickup. I think both observations are due to the microphone being located on the inside of the sunglasses’ right arm. Charging the Frames is accomplished with a proprietary magnetically connected power line that plugs into any USB charger. A two-hour charge delivers about 3.5 hours of music listening at moderate levels, or 12 hours of standby time. You obviously can’t wear and charge the Frames at the same time. The Bose Frames themselves are surprisingly light in weight, but they come with a bulky, safe-haven case. Powering down the Frames is dirt simple: Just take ‘em off and flip ‘em over, “something people are always doing when they lay sunglasses down on a counter,” said Trevedi. This trick is made possible by an onboard gyroscope, part of a nine-axis head-tracking, direction-sensing (and steering) circuit and a supporting augmented reality software platform known as Bose AR. Tapping the Frames’ onboard sensors, Bose’s smartphone app, and your smartphone’s GPS hardware, these audio spectacles will be able to ascertain where you are, how fast you’re moving, and what you’re looking at. On walking tours, a voice whispering in your ears will direct you where to look and when to turn, sharing insights along the way, so you can keep your shaded gaze on objects and scenery, instead of stumbling along with your eyes cast down at a guidebook or map. Pickpockets will hate these things. 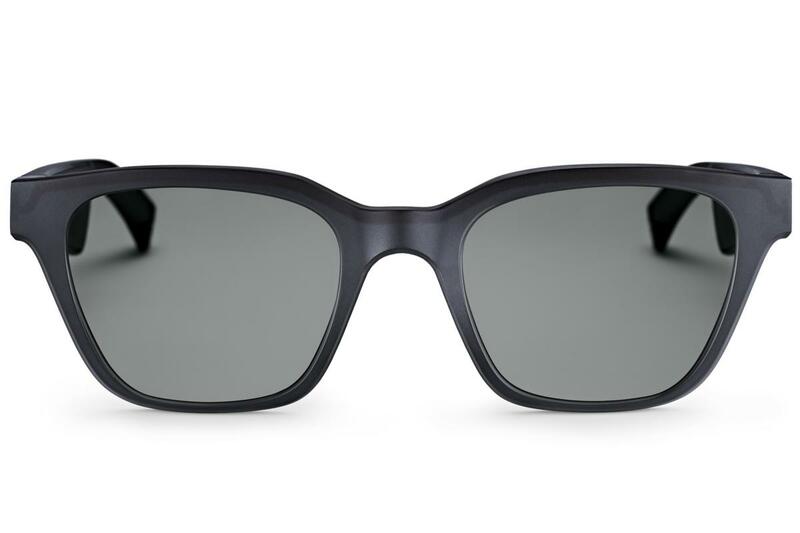 The Blues Brothers would approve: The Alto style of the Bose Frames evokes Ray-Ban’s classic Wayfarer shades. Most of that potential, however, won’t be delivered until the second stage of Bose Frames’ evolution. Bose recently acquired the audio-tour-guide developer Detour, which has already curated more than 100 strolls through towns foreign and domestic. 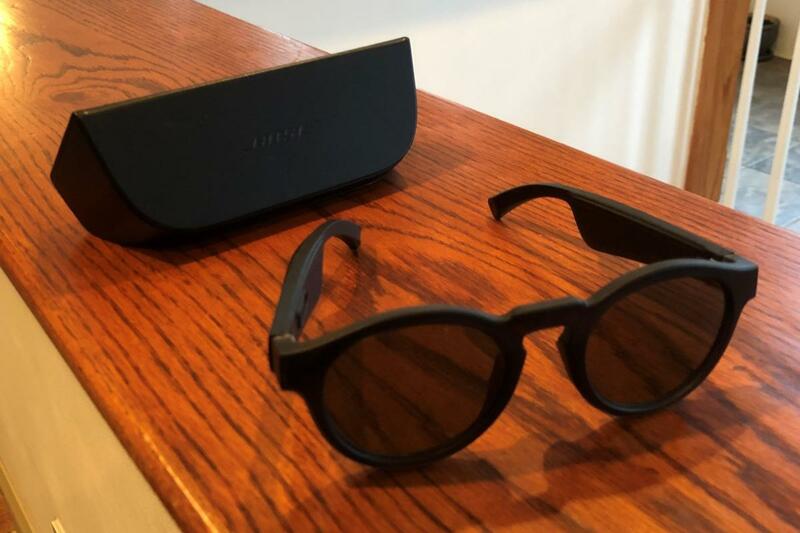 Bose has also announced a $50 million investment fund to kick-start other projects that use its Bose AR SDK (software development kit), and it has announced collaborations with the likes of ASICS Studio, Strava, TripAdvisor, TuneIn, and Yelp. Think educational tutoring, gaming, fitness coaching, meditation, and more. Bose won’t reveal any details about the first wave of available apps until March, at the South by Southwest (SXSW) music/film/interactive media conference in Austin, Texas. That’s also when Bose intends to launch Frames globally. For now, they’re available only in Bose retail stores in the U.S. and on the brand’s domestic website. Mum’s the word on product variations, too. There are just two SKUs available today: the aforementioned Alto, and the smaller, rounder Rondo. Both of those frames have a matte black finish with medium-gray-tinted UVA/UVB-blocking lenses. Trivedi hinted that different colored frames will eventually come to market, and that users will be able to have Frames fitted with prescription lenses. Personally, I’d like to see a pair with Transitions lenses that darken in sunlight and turn clear indoors and at night. This story, "Bose Frames review: Made in the shades" was originally published by TechHive. 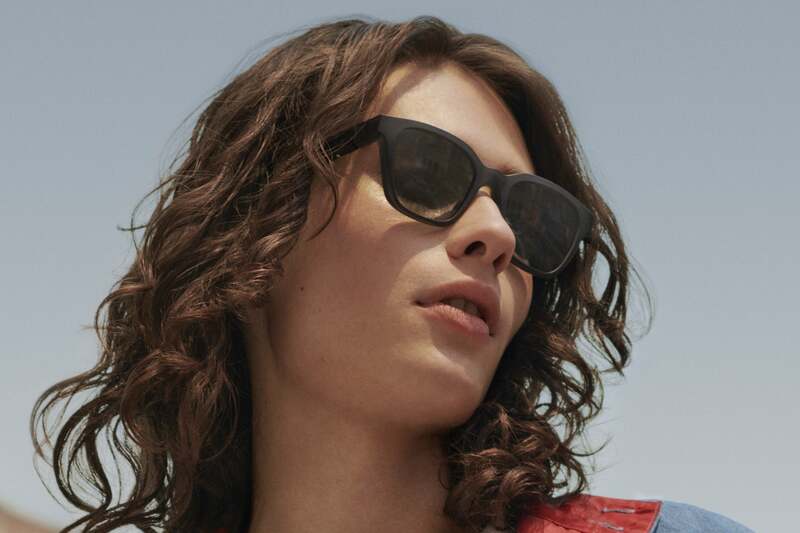 Multi-functional sunglasses with hidden speaker smarts, the entertaining Bose Frames will grab you first with their sly private music playing and call handling. But they promise to broaden your smile later with custom adventures, gaming, and coaching sessions using audio-augmented reality.